While many companies might bristle at this idea, it’s something I’ve thought about a lot. I wondered which company would be the first to invite a journalist inside for a closer look at how its commitment to responsible and sustainable business is put into practice. To my surprise, I didn’t have to wait too long before Johnson & Johnson reached out to me with an invitation. They wanted to discuss the possibility of going inside the organization to conduct an objective review of its sustainable product development process, aptly titled Earthwards®. 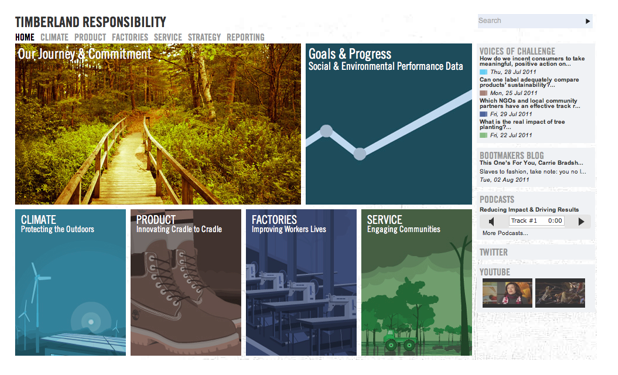 As Keith Sutter, Senior Product Director of Sustainable Brand Marketing at Johnson & Johnson explained, the Earthwards process was developed as an internal tool in 2009 to assess the environmental impacts of various products and help drive improvements around specific sustainability criteria. The invitation meant I would get an unvarnished view inside a company that has traditionally shied away from the publicity spotlight. So I dived in. My first exposure to the inner workings at Johnson & Johnson was a recent Earthwards quarterly board meeting. “Early on some of our external reviewers advised us to establish an Earthwards board of directors and appoint people from our legal, marketing and R&D groups, along with several subject matter experts from the outside,” explained Coleman Bigelow, a board member and Global Sustainability Marketing Director in the Consumer division at Johnson & Johnson. “Assembling a diverse group of stakeholders has been an important piece of the puzzle.” As the presentations started, I realized how challenging it could be to change the design, ingredients and packaging of existing products, built on years and years of research and testing. And for a healthcare company, its products must also meet the highest standards for consumer safety, patient usability and efficacy. So, layering on sustainability considerations to the product development process added even more complexity. One product reviewed by the board that day was Zytiga®, a drug made by Janssen (the pharmaceuticals group within Johnson & Johnson), used in the treatment of metastatic castration resistant prostate cancer. Through a recent acquisition, Janssen had received the rights to manufacture and distribute Zytiga and the team saw an opportunity to improve the way the active pharmaceutical ingredient (API) was produced to decrease its environmental impact and use the Earthwards process to guide the improvements. After the chief scientist for Zytiga walked the group through a formal presentation, the questions began. Now picture a room full of people representing different disciplines across the company – from Product Development to Environment, Health and Safety – and several from outside. The range of questions was broad and impressive: Was the product in competition with another product? 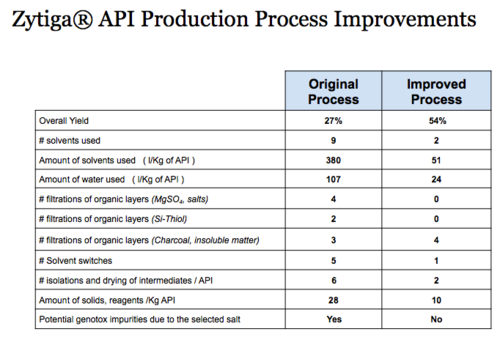 Why change the process that was previously used to make the API? Does the product have FDA approval yet? How does making the proposed changes to the design and production of the drug make it safer for the environment? What about the impact on plant workers? And does this change the packaging? More importantly, the group wanted to understand what innovations had led to the proposed changes for Zytiga, and whether these changes could be replicated for other products within the company’s portfolio. Following the Zytiga presentation and discussion, the board took up the next item on its agenda: Should the company move ahead with adding its internally developed Global Aquatic Ingredient Assessment [GAIA] to the Earthwards’ framework? This would allow products in the consumer sector – think Aveeno, for example – to receive one point for their improved GAIA score in the Materials category of the Earthwards criteria. The company developed GAIA to evaluate the impact its product ingredients have on water, and determine if a potential for toxicity, persistence and bioaccumulation exists. Now the group questioned whether adding GAIA as an additional layer to the pre-qualifiers for Earthwards would raise the bar for other products competing for the recognition. As with Zytiga, the questions were far-ranging and complex: Does GAIA only consider the environmental impact of product ingredients, or does the assessment also consider the impact of these ingredients on human health? How do we weigh the toxicity? How does the consumer sector look at human health? With suppliers changing, how do we streamline the process? 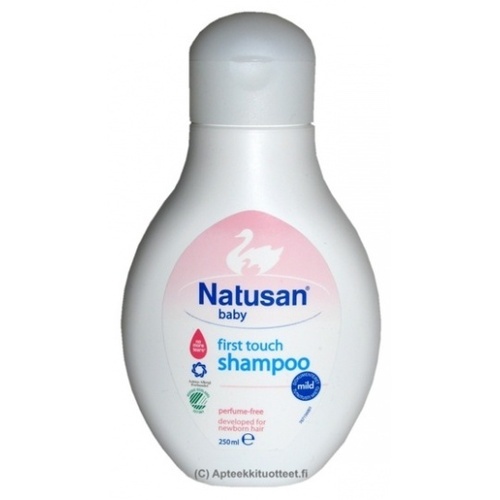 Does this then become a “hazard assessment rather than a risk assessment?” One example the board used to flesh out the pros and cons of GAIA was Natusan shampoo, which recently earned Earthwards recognition after overcoming a significant hurdle: Scientists had to figure out how to reduce the number of ingredients from 13 to eight to be eligible for recognition. The team explained that while the 13 ingredients used in the initial product were thoroughly reviewed for toxicology to insure that the finished product was safe for human use, the GAIA tool focuses on reducing ecosystem impacts. The board questioned whether the bar set by GAIA would be too high for some products. “We’re pushing for continual improvement while watching for signs of backsliding, and so far 60 percent of our products have continued to make further improvements,” was one sentiment. Another was, “We need to set the bar high but not so high that it discourages product developers from going for it.” Another board member – this time an external reviewer – commented that the allowable limits of “red” ingredients (those that Johnson & Johnson tries to avoid, where possible, due to environmental impacts) seemed reasonable, but cautioned that it might not be reasonable to others. As the day wrapped up one thought stuck with me: how high should the bar be when it comes to meeting the sustainability criteria of the Earthwards process? Context is of course key in these discussions. For some products and their ingredients, it’s a fine line between raising the bar and raising it too high. And since most of these products have been tested and retested for years for their impacts, toxicity and formulations, room for improvement is limited and, in some cases, tough to achieve. So how high should the bar be set? That’s the chicken or the egg question for companies today, isn’t it? While Bill McDonough, co-author of Cradle-to-Cradle and chief architect of this concept, promotes zero as the target – as in zero waste or zero negative impact – the reality is that everything we consume is made up of materials that we get from our environment, and therefore has an impact. The question is whether we can replenish the resources as quickly as we take them. And if not, how do we find alternatives? For believers of biomimicry, the answers may lie with nature. And how can a program like Earthwards, which the Johnson & Johnson team insists is not a certification or eco-label – indeed no product carries any indication of its Earthwards recognition on its label – help to push the bar consistently higher while acting as a purposeful motivator for the R&D team, the scientists, the product developers and the marketers, toward more sustainable products? For someone who doesn’t quite understand chemical equations and bioaccumulation, but does understand cancer, deforestation and the quest for sustainability, the board meeting was a revelation and a front row seat to an often-guarded corporate zone. For a company that earmarks a significant portion of its revenue to R&D, it is encouraging to see the commitment to sustainable product development in action. The board meeting ended on a high note. Zytiga was approved by the Earthwards board for recognition. There was excitement in the air and a belief that Earthwards is moving the company in the right direction. And the coffee pots were empty. All in a day’s work. Originally written for and published on CSRwire’s Commentary section Talkback on February 13, 2013 as part of a series about EARTHWARDS®, a Johnson & Johnson program designed to promote greener product development throughout the enterprise.